Living Air Classic is perfect for indoor air quality control. 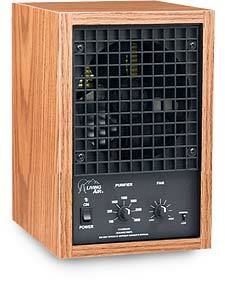 The Living Air Classic has been on the market for 20 years and has proven its consistency. In our goal to bring you the best, innovative technology to help you keep your home healthy, this air purifier is the one you should try. It is perfect for indoor areas that require heavy pollution reduction or "light" industrial applications. Ideal for the average home, with performance capabilities to handle large and small areas where smoke, pet odors, or other strong pollutants are an issue. For twenty years people just like you and me have been using the Classic in their homes and businesses. Click here to purchase "The Classic"